A PVC Slurry Hose can be used for slurry discharge and light duty suction. 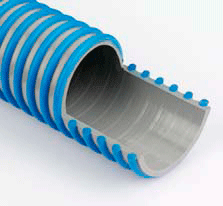 This is a flexible PVC hose with blue external spiral, hose will remain flexible even during cold weather. Available in 30 metre lengths.